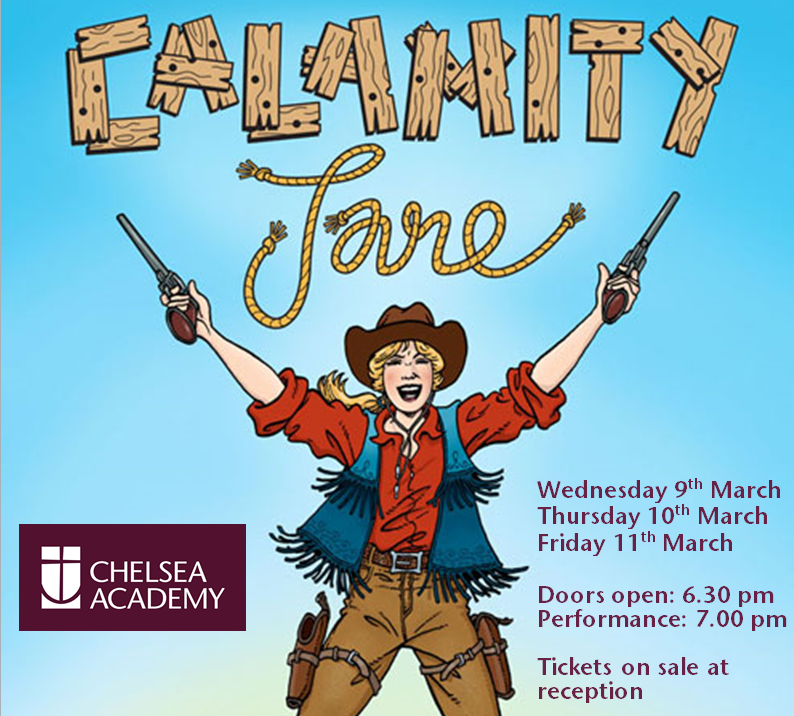 The Chelsea Academy Production, ‘Calamity Jane’, will be performed this week: Wednesday 9th, Thursday 10th, Friday 11th, 7pm to 9pm. Tickets are on sale at Student Services: £3.00, £2.50 concession, free for students. Doors will open: 6.30 pm and the performance will start at: 7.00 pm in the academy theatre. Come and support our talented students!